Mobipocket SA is a French company incorporated in March 2000 that produces Mobipocket Reader software, an e-book reader for mobile phones, personal digital assistants (PDA) and desktop operating systems. The Mobipocket software package is free and consists of various publishing and reading tools for PDAs, smartphones, mobile phones, the e-readers Kindle and iLiad, and applications on devices using Symbian, Windows, Palm OS, Java ME and Psion. 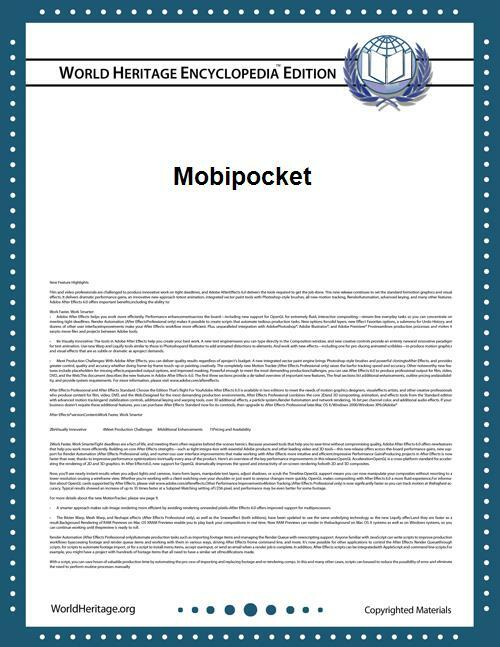 Mobipocket.com was bought by Amazon.com in 2005. Amazon's acquisition was believed to be a result of Adobe Systems’ announcement that it would no longer sell its eBook packaging and serving software. An alpha release of the Java-based version of the Mobipocket reader was made available for cellphones on June 30, 2008. There is also a reader for desktop computers running Microsoft Windows, which also works with computers running Mac OS X and Linux using Wine. It has been widely reported that since Amazon's acquisition of Mobipocket, software support, user support, and platform growth was ended. In December 2011, it was reported that Amazon officially notified the book publishers that it was ending support for Mobipocket. The status of Mobipocket Digital Rights Management (DRM) content previously purchased by users continues to be unclear since no other ebook reader supports its proprietary DRM method. A personalized press review using the Mobipocket Web Companion, an automated content extraction tool dedicated to press articles. eBooks, including for each book a biography of the writer. Each downloaded eBook is registered in the My Mobipocket personal virtual library, from which a user has access to any previously downloaded eBook. A secure reading system, as a result of the encryption of eBooks using DRM and unique signature, a timestamp added to each book at the time of purchase. Depending on the device, different functions are available. Those are usually managing of books and their metadata, assigning books to arbitrary categories, auto-scroll, rotate by 90° or 180°, bookmarks, custom hyperlinks within one or between different documents, highlighting, comments and by sketches. When transferring documents to other device types, functions that are not supported on the device will be ignored, but the information one is reading will not be altered or deleted. There is a reader for personal computers that works with either encrypted or unencrypted Mobipocket books. Unencrypted Mobipocket books can be read on the Amazon Kindle natively, as well as in Amazon Kindle programs on Mac OS X, iOS devices, Android devices, Windows, and Windows Phone devices. By using third-party programs such as Lexcycle Stanza, calibre or Okular, unencrypted Mobipocket books can also be read on Mac OS X, iOS, Android devices and Linux. Third party tools exist to decrypt encrypted Mobipocket books, allowing them to be read using software that does not support encryption. As of 2012, there is no way to print or export the text of an encrypted or secured Mobipocket file, nor the personalized additions, using any third-party applications. Mobipocket has not released a version for Android. Owners of Android devices can download Amazon's Kindle application from the Android App store, which can read .mobi files, though no official Mobipocket reader for the Android platform has been released. Long term plans for the Mobipocket platform are in question in the wake of Amazon's announcement of the Kindle Format 8, which moves in the direction of HTML5 and CSS3. 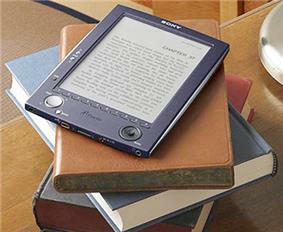 As one of the most popular e-readers, the Kindle has great sway in the popularity of e-reader formats. ^ "Franklin sells interest in company, retires shares". Philadelphia Business Journal. 2005-03-31. Retrieved 2011-05-05. ^ "Amazon.com Acquires Mobipocket". DRM Watch. Retrieved 2014-11-01. ^ "Mobipocket Alpha program — eBook reader for Java phones". Mobipocket.com. 2008-08-22. Retrieved 2011-05-05. ^ "WineHQ - Mobipocket Reader". Appdb.winehq.org. Retrieved 2011-05-05. ^ Hoffelder, Nate (2011-11-02). "RIP: Mobipocket 2000-2011". The Digital Reader. Retrieved 2012-07-22. ^ "DeDRM plugin for calibre: the simplest option for removing DRM from most ebooks". Retrieved 2012-07-22. ^ "MobileRead Wiki - MOBI". Wiki.mobileread.com. 2011-04-22. Retrieved 2011-05-05. ^ "PRC". MobileRead Wiki. 11 February 2014. Retrieved 28 October 2015. ^ "mbp reader, export mobipocket notes". idleloop's site. May 2012. Retrieved 2012-07-22. This package reads a .MBP file, which ... would contain annotations, corrections, drawings and marks made by the user on the book content. Libre (GPL 3) command line tool written in Perl. ^ "Kindle". Android Apps on Google Play. Retrieved 2012-07-22. ^ "Kindle Format 8". Amazon. Retrieved 2012-07-22. ^ Newman, Jared (2011-12-15). "Actual Kindle Sales Figures: More Than 3 Million Sold So Far". Today @ PCWorld. Retrieved 2012-07-22.